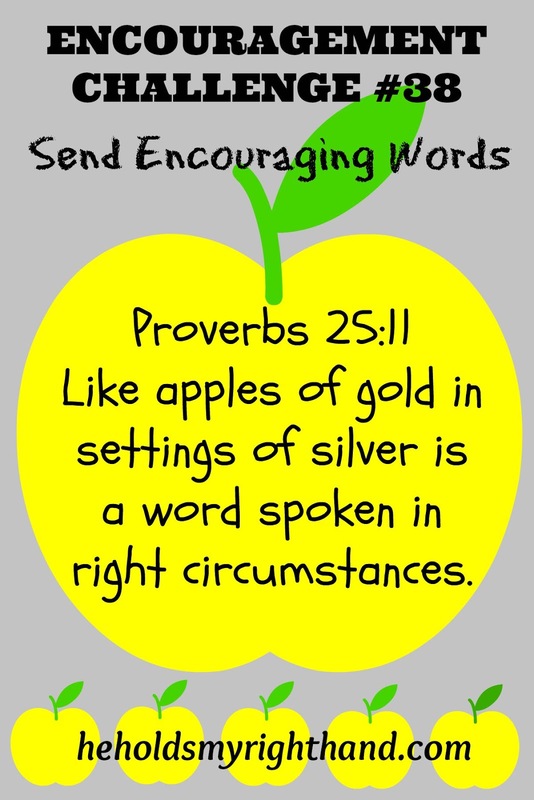 Share some golden apples this week by sending a favorite Bible verse, an encouraging quote, or just some words that come from your heart to 5 different people. You can send to one person each day, or do all five at once. The choice is yours. Like your post. 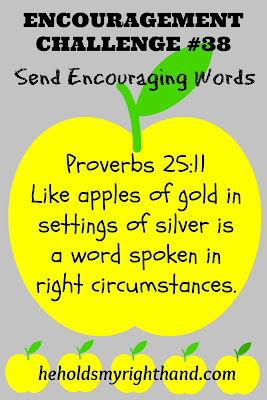 Our words do matter.